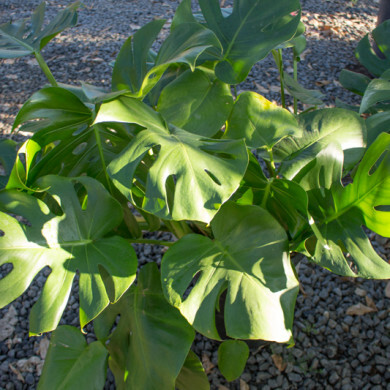 Beautiful tropical plant with large, dark green, shiny leaves with cut outs in the mature leaves. 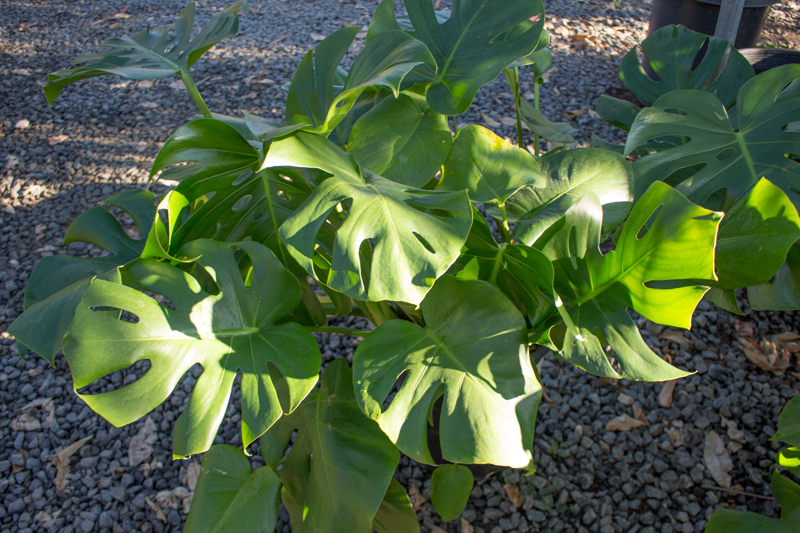 Resembles the philodendron. 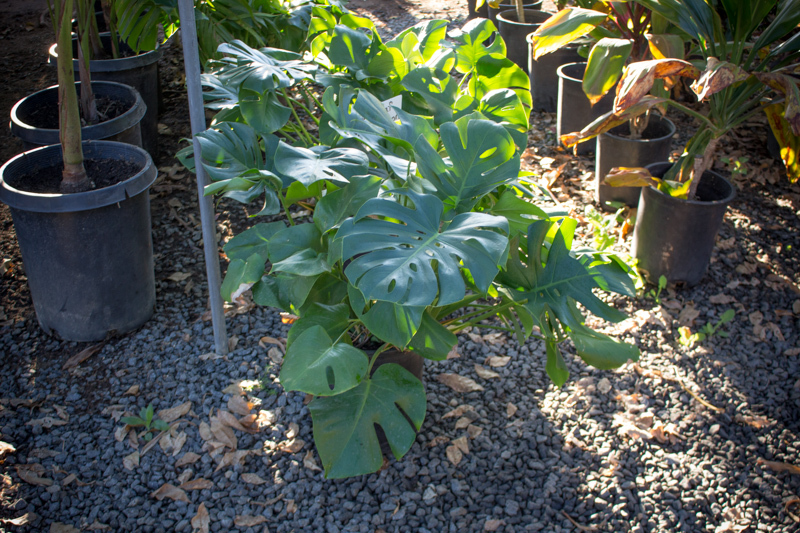 Forms long rope like roots that reach for the soil and help support the plant. 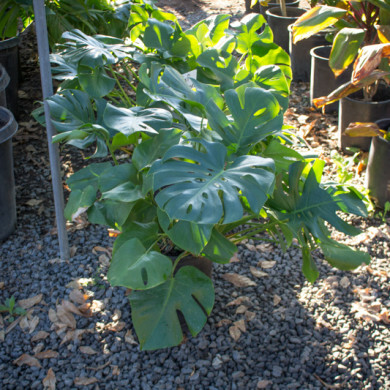 Can be grown outside in partial sun to shade or indoors. Likes rich soil.